As a book lover (and book collector), I thought this was a neat photo, lifted off an even neater website I just found called 9 Wows. 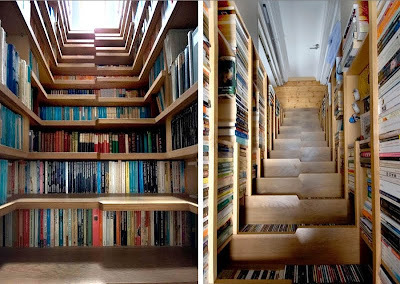 Bookshelves built into a staircase! Way cool! Nine wows! Now all you need is a pillow you can take with. awesome. Makes me wish for a two-story house just so I could do the same thing. Love it! 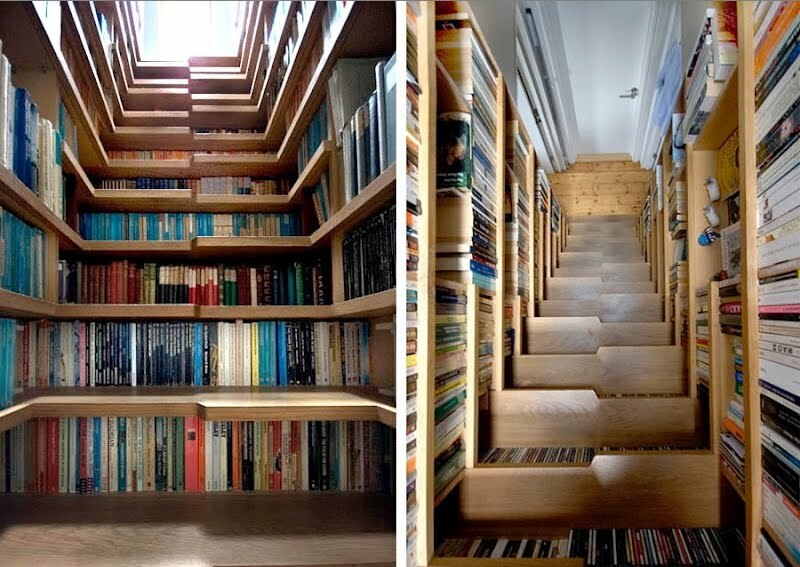 The only problem that I see is that I would be looking at the books and probably fall down the stairs. Lol!